When a freak fast-food accident almost kills daydreaming city girl Lisa Flyte, she decides it's time to get a backbone and really start living out loud. But how is a shrinking violet like Lisa supposed to get tough all of a sudden after a lifetime of watching from the couch? Jack Hawkins, that's how. When Lisa finds out that the outdoor extremist needs a clueless urbanite to test his top-secret line of idiot-proof adventure gear, she gets the most outlandish idea of her life: she will be his undercover test dummy if he helps her become brave on their adventures in the wild. I loved this book. I know I can’t leave my book review with those four simple words and call it a day, but it’s the truth. From start to finish, there wasn’t a single moment I didn’t appreciate or enjoy while reading Miss Adventure. From Lisa’s constant fumbles and bumbles while she’s testing out Jack’s various outdoor equipment to the on-edge budding relationship these two are constantly fighting against, my only complaint was that there wasn’t more for me to read. Geralyn Corcillo has created fun, relatable characters, and I felt a tinge of sadness when I reached the final page to the story, which usually doesn’t happen for me. I think a sequel is in order here. I’d really enjoy reading more of Lisa’s zany adventures and I want to see where her life has taken her. Will she continue dealing with her family’s drama well after the money they’ve practically stolen from her has run out? What about Jack? Will they be an item, or will their constant cat and mouse approach to romance finally run its course? There are a lot of outside forces at work here, constantly working against those two. If they beat the odds, it would make for a great love story, and I for one would be the first in line to read all about it! 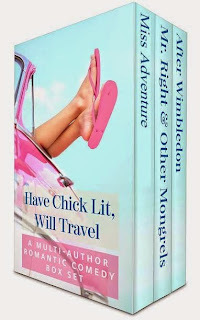 TWO e-book copies of the bestselling box set Have Chick Lit, Will Travel, which includes Miss Adventure by Geralyn Corcillo, Mr. 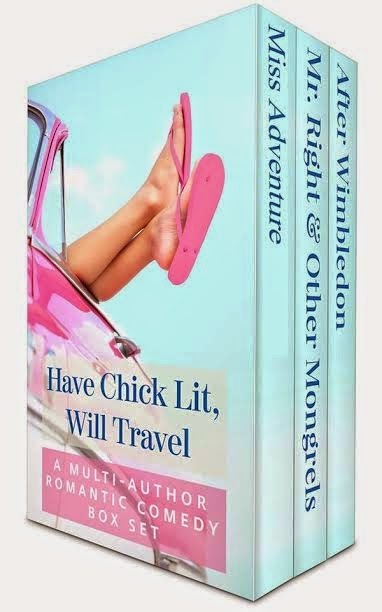 Right and Other Mongrels by Monique McDonell, and After Wimbledon by Jennifer Gilby Roberts. In these three romantic comedies, set in Los Angeles, Sydney, and London, feisty heroines tackle big challenges, fall in love, and find the courage to go after what they want. Worldwide. Giveaway ends February 24th at midnight EST. The first thing I would do is pay off the bills. Then, it would be vacation time. I am long overdue for one. Life is short. A house at the beach. Wow, Sara, your review puts me over the moon :) I am so happy you enjoyed Miss Adventure. Ever since I was a kid, books have been making me happy, and my goal as a writer is to do that for others. The VERY first thing I would spend the money on? A spa day with 4-hour massages for me and my husband. I would pay the bills first. Then, I'd take a long-overdue vacation. I would first pay myself! :-) Bills will always be there so I would rather live in the moment and enjoy time with my family and friends! I would go on a vacation to the beach! hmmm pay off my debts and head to the tropics! Pay bills first, then enjoy life! I'd pay down my mortgage and if there was any money left, I'd redecorate! I'd pay off all my debt and bills and make certain of my retirement and then a long vacation. My eco-built, sustainable dream home. Some of it would go into a savings account, but then it would be vacation time with the family. Money would come on handy for a new car too. Pay off debt, buy house, new car. Help my parents! Congratulations, Nicole and Bonnie! I hope you enjoy the box sets! 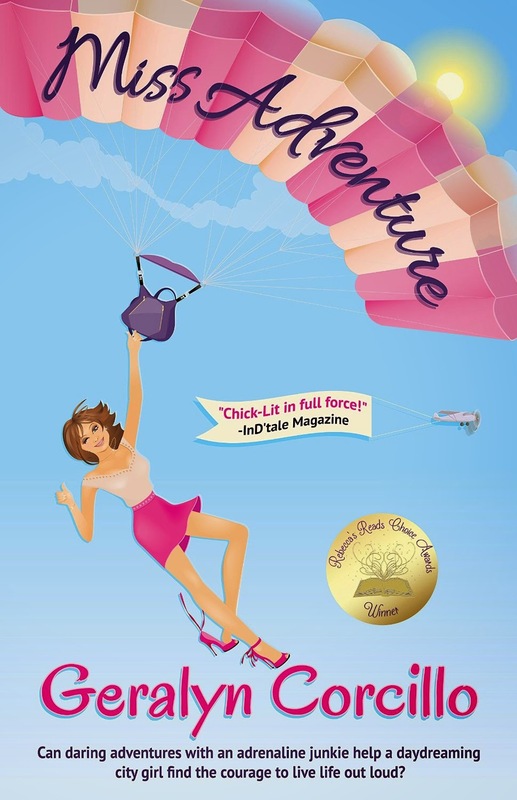 And thank you Chick Lit Central for the fantastic review and for hosting the giveaway. And thank you EVERYONE for participating in the giveaway, and I hope reading always brings you joy and delight!